I am sitting in a cafe near the ship in Tallin Estonia. It is another beautiful day. 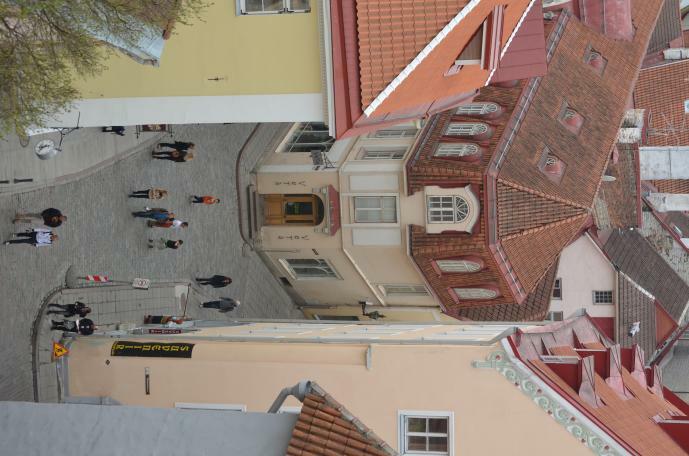 Little foggy and cloudy this morning but a perfect temperature for some good walking in the Old Town of Tallin some of which dates back to the 11th and 12th centuries. Beautiful churches, shops full of amber and other local specialities including fur, hills, cobblestone streets. We even found a wonderful chocolate shop and sampled a delightful truffle! Many of the cruise passengers are an exceedingly well traveled lot with many crossings under their belts as well as cruises to Antarctica and other far flung places. there are passengers in wheelchairs and with oxygen tanks and here they are tackling this somewhat challenging cruise itinerary. Holly is sleeping well at night now and still coughing in the day but now has different medicine and an inhaler which is helping her. she is a real trooper and seems to be enjoying herself despite her health issues. We are receiving special treatment on the ship with afternoon treats delivered to our cabin every day and dining in a special elegant dining room whenever we want. Tomorrow we will be in St. Petersburg, Russia for 2 days!